Source: Collected Poems (Farrar Straus and Giroux, 2001). Philip Larkin, “This Be the Verse” from Collected Poems. 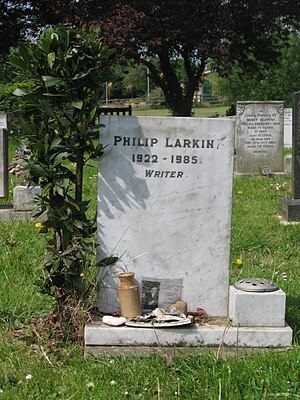 Used by permission of The Society of Authors as the Literary Representative of the Estate of Phillip Larkin. This entry was posted in Thought-For-The-Day. Bookmark the permalink.